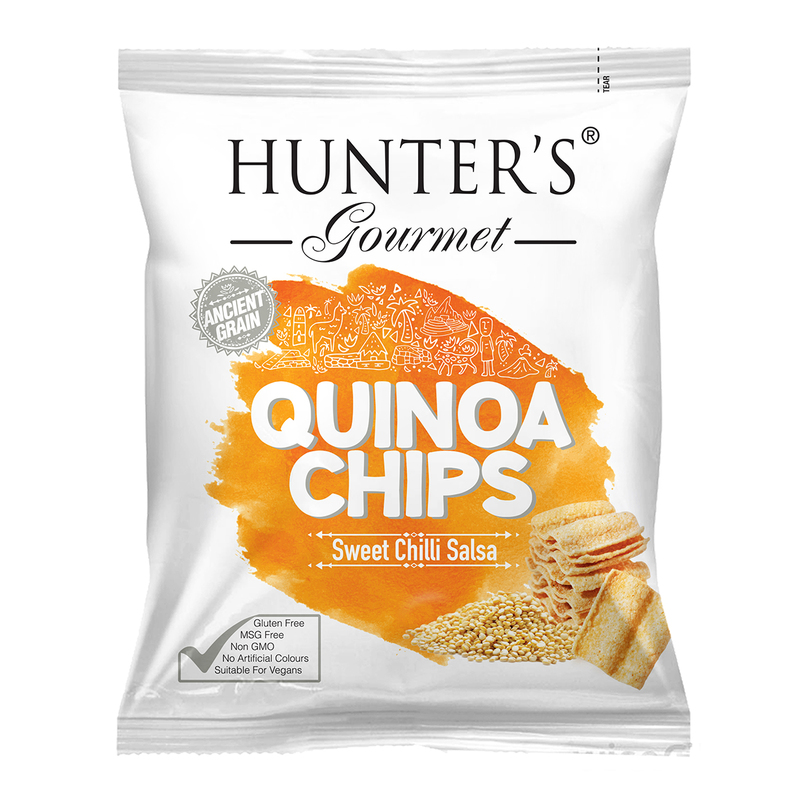 You could almost see all the ingredients right on these flower-petal like chips, made by Hunter Foods! The lightly roasted flax seeds are mixed in the black lentil flour dough, together making these tasty chips having 21% protein, a good source of fibre. Every bite delivers that delicate superfoods crunch, the nutrients and the savory moreishness! In addition, they are gluten, MSG and GMO free and suitable for vegans. 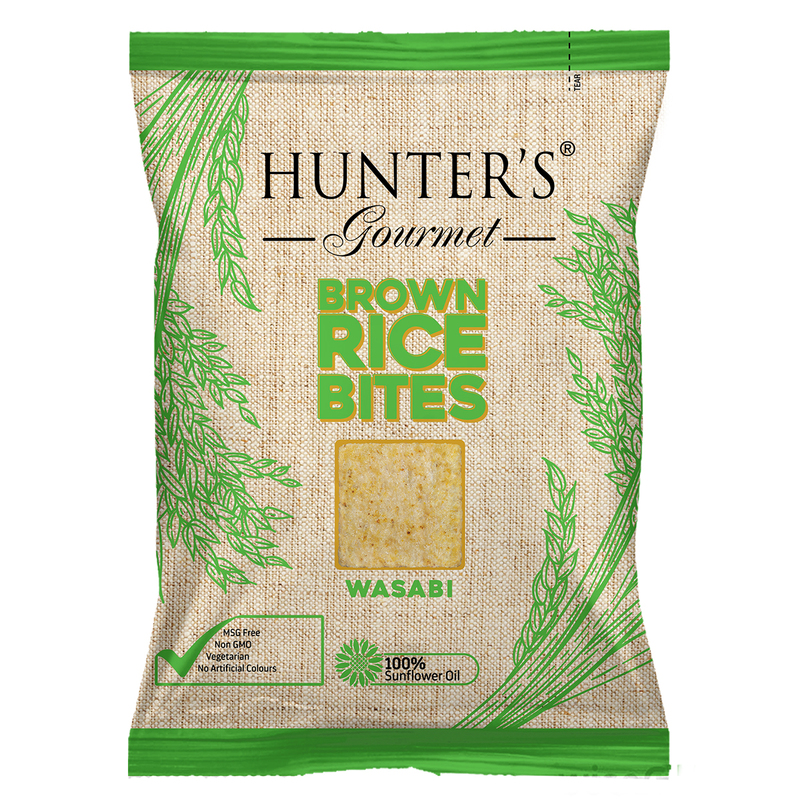 Another nutritious addition to our Better for You range of wellness snacks! The lightly roasted flax seeds are mixed in the black lentil flour dough to make these savoury chips even more flavourful and higher in protein. 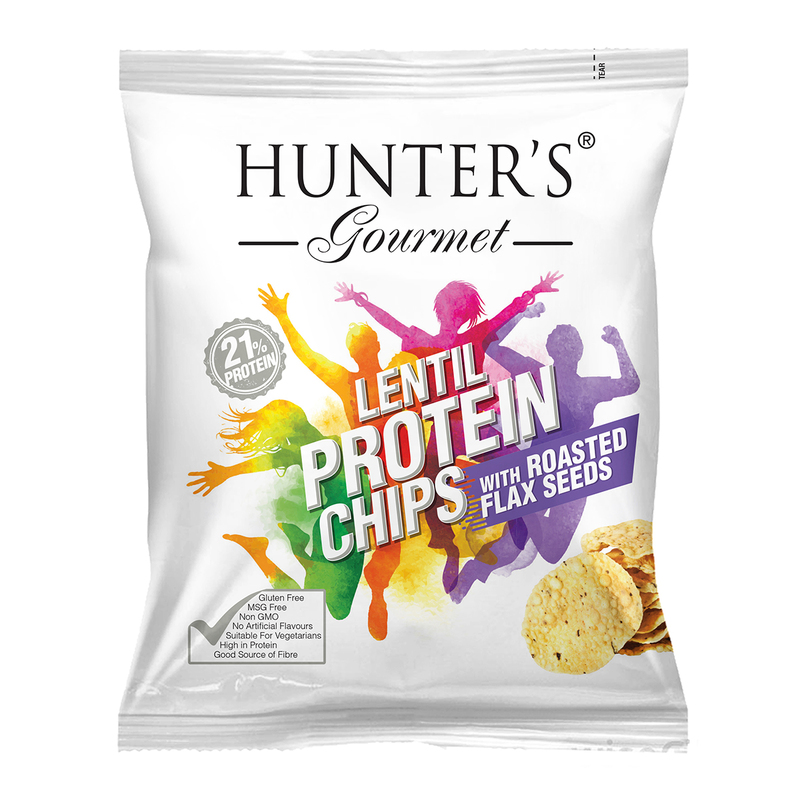 Hunter’s Gourmet Lentil Protein Chips – with Roasted Flax Seeds (25gm) 25gm Packet. Alternative Snacks, Gluten free, MSG Free, Non GMO, No Preservatives, No Artificial Flavours, No Transfat, No Cholesterol, Halal, Dairy Free, Lactose Free. Black lentil flour 50%, sustainable palm fruit oil, salt, flax seeds (roasted) 2%, raising agent (E529), rice flour, sunflower oil. May contain traces of peanuts. Finally a product with the right amount of protein I am always looking for! And with Superfoods to top it up! Perfect for me. Lentils is my staple food 😀 moreso coz ive grown up eating Lentils mostly… Healthy and snack on the go – what else can you ask for? With flax seeds in it, makes it a healthy option all the more! Lovely product that’s favorite Freind for my son everyday at school should be take one. Very healthy and yumeeeee. The product that I can give to my son as a healthy & delicious snack..
Wooow.. Where have these been all my life..??? This is really sad i couldnt find it before..
Snacking at day and Night is my downfall . This Snacks are healthy, low carb, and affordable price. I appreciate that they are lower calorie and lower fat but still give me a crunch. I loved all your flavours and you have aloot of flavours which the other diesnt have , that makes you to stand in unique and first place. I always wanted my kids to eat something that has the perfect protein in a snack Meal and i am very happy to find this product and give it to my children and they loved it too as a snack-meal that is complete in every way. Thank You team for the healthy snack meal.